The LG OLED display has breathtaking colour accuracy and incorporates plastic for higher flexibility. 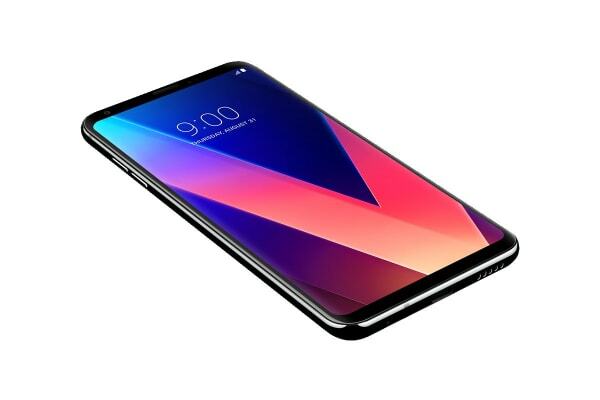 Combined with FullVision technology, the LG V30+ 6” display makes your viewing experience a real treat. The AI camera provides the creative eye, to help you get your perfect shot. The AI camera analyses subjects in your frame and optimises settings to improve your picture. Get brighter photos in low light conditions, with a camera so smart, it knows when it’s too dark and automatically increases the brightness of your shot. Capture brilliant shots with the wide-angle front and rear cameras, great for group shots or landscapes. Take amazing selfies with the front wide-angle camera. The main camera on the LG V30+ features an F1.6 aperture and a glass lens, resulting in impressive low-light performance and improved colour clarity. Capture the professional film look. Cine Video Mode gives you vivid colours and a great range of effects to suit your film making needs. Lights, Camera, Zoom! Preset zoom speed, location and motion for a shot straight out of the movies. Smooth and controlled Point Zoom lets you shoot high quality videos using the main camera. Have your audio tuned the way you want it. Tweaked and adjusted to your tastes and environment, the LG V30+ Preset Sounds and Digital Filters add professional reference sounds so you can enjoy rich, full music at home or on the go. 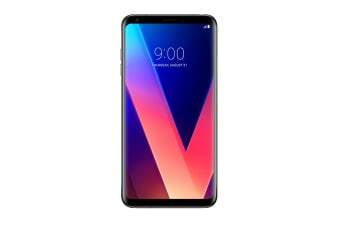 The LG V30+ facial recognition technology helps you to unlock your phone quickly and easily, without swiping or inputting numbers. Its enhanced voice recognition technology can recognise and be set to respond only to your voice. Supported by Qualcomm Aqstic voice UI technology, this feature is always on and ready to respond, yet requires very little battery power. Record pristine Hi-Fi sound wherever you go! Use the three microphones on the LG V30+ to capture superb sound with less distortion, even in loud and noisy environments. 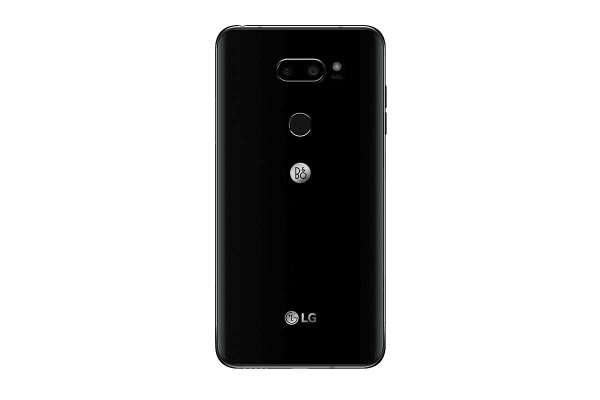 The LG V30+ is LG’s first Google Daydream compatible phone. Combined with the LG V30+ 6” OLED FullVision Display, prepare to experience an expanded variety of VR-immersive applications in your favourite games, movies and videos.